Staged from March 19-22, He Au Honoa: Indigenous Research Conference on Maui, is an extension of He Manawa whenua, a conference usually hosted in the Waikato. Justine is Kai Tahu, and was born and raised in her rohe of Araiteuru, in Dunedin. After completing a Social Work degree at the University of Otago, Justine did her Masters looking at the impact of Type II Diabetes on Whānau which led her to doing her PhD, which she will submit at the end of August. Justine is part of A Better Start E Tipu e Rea’s Big Data team, and is a Vision Mātauranga Research Fellow. “Part of my role to make sure the use of data is not harmful to Māori. Justine’s PhD thesisis a Māori and Pacific maramataka mapping project looking at patterns of self-harm by mapping them over a maramataka (Māori lunar cycle). “I have worked with a Hawaiian and two Māori master navigators and created a whānau health compass (adapted a star compass) and have used it to guide the wellbeing of whanau,” she explains. Interviews suggest the compass works and whānau are able to identify a baseline of their well-being, and notice patterns very quickly, she says. 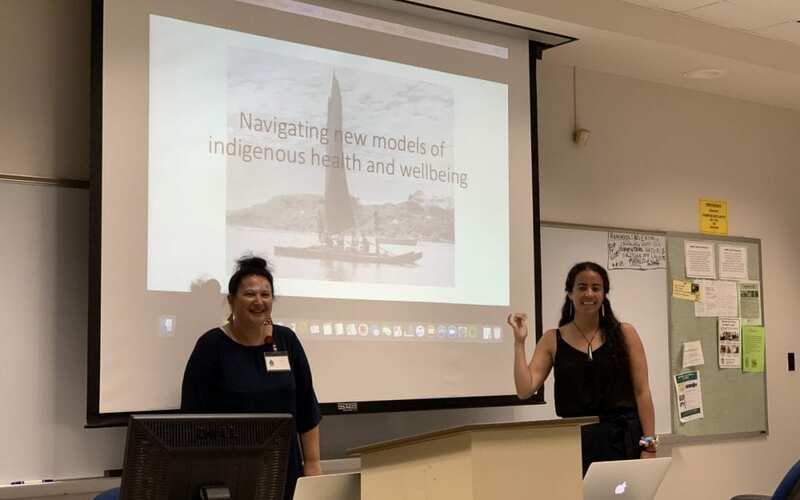 Together with Terina Raureti also from the University of Otago, and Tui Gilling (Te Whanau a Rutaia), Justine presented at a workshop at He Au Honoa: Indigenous Research Conference on Navigating new models of indigenous health and wellbeing. A bonus of travelling to Hawaii was the opportunity for Justine to visit the Maramataka Research Centre located there. Her visit to Hawaii has been extremely useful, she says.